HPI engineers and fabricates Electro Polish Finishing Lines for any part configuration. 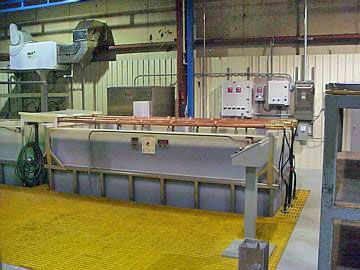 Electrro polishing process system and other process lines available for your metal finishing application requirements. 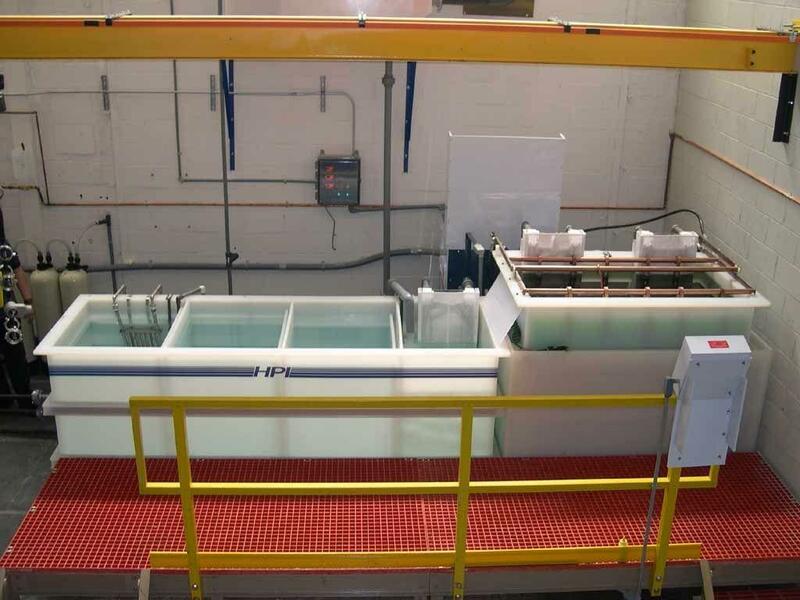 Our electro-polish finishing equipment is designed to provide the benefits of system flexibility, and ease of operation, as well as maintenance. The finishing is conducted in a controlled environment, thus, the quality of the metal surface is excellent. These benefits allows for continually repetitive operations for reproducing results. The electro-polishing procedure ensures that minimal waste is created during the process. The equipment can be easily integrated into the workflow of your current operation. The flexibility of the systems is not limited only to operations. They can be designed taking system upgrades and expansion, or integration of cost saving automation equipment into consideration. HPI Processes’ electro polish finishing equipment is ideal for applications in automotive, pharmaceutical, aerospace, and military industries. Electro Polish Lines built to accommodate your specific requirements – from a single tank manual system to a fully automated line.